Despite inevitable challenges, or their individual paths to their respective institution’s top financial position, chief business officers share a common thread of remaining committed to serving their campuses and students. How do CBOs find the energy and wherewithal to work on the multidimensional strategic issues before them? When juggling many different, critical issues, how do CBOs carve out time to focus on the big picture? What can they do to ensure that they, and their teams, are as successful as possible in turbulent times? While there is no “regular” day for a CBO, how does one manage the role through its ebbs and flows? Time and again, NACUBO’s CBO thought leaders return to a common theme that is simple in many ways, and yet, extremely profound, thought-provoking, and magnanimous: mission. Support of mission may seem a clichéd or even overlooked job requirement in some respects, and yet, understanding its significance to a college or university can neither be disregarded nor underestimated. Essential elements of the mission mindset include: appreciating and valuing the mission of higher education, espousing the specific mission and vision of your institution, and seeing the roles of CBOs and their staff members as inclusive of more than business and finance functions. “Understanding, embracing, and getting passionate about the core product is key,” says Brett Dalton, recently named chief business officer, Baylor University, Waco, Texas; and former vice president for finance and operations at Clemson University, Clemson, S.C. Doing so, and spending time defining what the product means and what makes it unique, special, and different, is vital. Considering the number of CBOs—regardless of background, education, or professional pathway— who have volunteered their time to be interviewed for NACUBO’s “CBO Speaks” podcast series highlights the importance that they place on sharing their knowledge and their love of what they do on a daily basis. Truth be told, vice presidents of finance and administration are often regarded as the “accidental profession” within higher education, in part because so few CBOs purposefully seek their role—and many confess to “falling into” this career. While there are many pathways and transitions into the CBO position, among the most common are these five: from student to staff, from faculty member to administrator, via friend and family connection, through personal journey, and by ambition to seek change. Regardless of the route taken, one pattern emerges over and over through NACUBO’s conversations with these seasoned leaders. They are ultimately drawn to their CBO role because of their passion for higher education and its mission. Many examples exist of CBOs who were student employees at their college or university before becoming full-time employees. In some cases, these individuals started working within business and finance functions as students, and upon graduation, stayed on as a staff member. Mike Gower, Rutgers University’s executive vice president for finance and administration and university treasurer, had done a graduate student internship at his alma mater in an operational capacity. He spoke to a few people who worked there, and, coincidentally, a job became available. “It didn’t take very long for me to get hooked on the field,” says Gower. Others have taken a more circuitous path before ending up back at their home institutions. Because of their connections and affection for their school, these CBOs wanted to give back to a community that meant so much to them and supported them during their formative years. Phil Dolittle, executive vice chancellor of finance and administration and chief financial officer at Brandman University, Irvine, Calif., took an indirect route to the CBO role at his undergraduate institution, the University of Redlands, Calif. Because of his alumni status, Dolittle found himself on the board of trustees for his alma mater. Then, due to some unforeseen circumstances occurring at the senior leadership level, Dolittle was recruited as vice president for finance, ultimately serving his alma mater for 23 years. Oftentimes, CBOs find a mentor or advocate who ends up bringing them back to campus, luring them to the work of the academic enterprise, and showing them how they could offer their talents to advance the institution and its mission. Current NACUBO Board Chair Mary Lou Merkt, vice president for finance and administration, Furman University, Greenville, S.C., was invited back to her alma mater, Radford University, Radford, Va., by an accounting professor who had been her mentor during college. The professor had become the CBO there and asked Merkt to join her. Similarly, Dalton became close to his Clemson graduate adviser, who gave him an opportunity to go back to work at his alma mater. Dalton served in numerous capacities before assuming his CBO role there in 2008. Another notable career entry point is through the faculty. Among a subset of CBOs who came into the profession because they were teaching at their institutions and then were tapped to assist on the administrative side is Choi Halladay, vice president of administrative services at Pierce College, Puyallup, Wash. He was a professor in the economics department when he was asked to fill in as interim CBO, and then he never returned to the faculty. CBOs who enter the profession this way often have the benefit of coming from a teaching mindset and being seen as an internal ally because of their history as a faculty member. 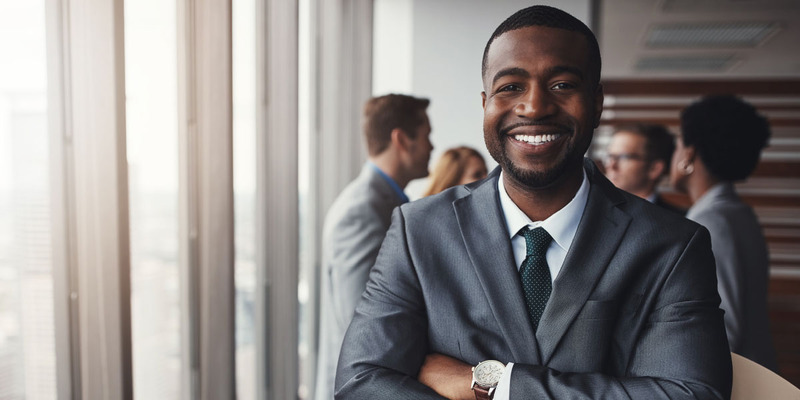 In these cases, many of the CBOs understand how they can leverage their former role to be successful in their current one. What is critical for this transition is a holistic approach to their positions—one that clearly understands the institution’s mission, has the caché of being one of the faculty, and has the experience and willingness to carry new responsibility. Kanter, vice president of finance and business affairs and CFO for Seattle University, spent 20 years working at a number of high-tech companies. She took some time off to spend with her children at home, and during that break she did a lot of volunteer work with nonprofits in the Seattle area. When she went back to work in a high-tech manufacturing job, she realized: “The challenge was that it wasn’t an industry that I cared a lot about. It really made me think about the mission of an organization in a way that I hadn’t previously. I knew that my next step had to be something more mission focused.” That’s when she found her current job at Seattle University. Yet another—and quite unique, amusing, and perhaps even ornery—way of coming to the CBO role, is taking those who had a negative experience with higher education administration and sought to correct what they saw as a profession that needed improvement. Gerald Whittington, senior vice president for business, finance, and technology at Elon University, Elon, N.C., describes his path to the CBO role in a very colorful, activist manner. When he lost his financial aid during the Vietnam War, he went to campus administration in search of answers and assistance. After going up the chain of command—from his resident adviser, to the director of financial aid, and eventually to the CBO—he was shocked to realize “no one had a clue” about how to help him. Similar to Whittington, Bronté Jones, vice president for finance and administration at Dickinson College, Carlisle, Pa., came to her role via an activist, change mindset. Coming from a family of educators, Jones always knew that she wanted to work on a college campus. As she explains, however: “I always knew that I was going to get my Ph.D., and I imagined that I would teach,” she says. It was during her doctoral work that she found herself at the state auditor’s office, auditing campus financial aid programs. This experience led her on the path to her current role. “I came into contact with a number of administrators who, I hate to say this, I found less than impressive. So, I actually made the decision that, rather than be in the classroom, I could take my financial acumen and become an administrator and affect change in that way,” explains Jones. Regardless of the path many finance leaders take to the profession, it is clear that successful CBOs are drawn to the overall mission of their institution and higher education as a whole. That said, when doing the business and administrative work required for the job, it is easy to get distracted by the minutiae of the moment and find yourself hours later wondering where the day has gone and when one will have the opportunity to think strategically and manage through the big issues. How does one get out of that vicious cycle, take a moment’s breath, slow down, gain perspective, and embrace the institutional mission that brought you to the role in the first place? Corey Bradford, senior vice president for business affairs at Prairie View A&M University, Prairie View, Texas, highlights that, along with his institution’s strong legacy as a historically black college and university and the institution’s rural location, it has a mission that extends into the community. Spending time spurring on economic and private development can “help the overall quality of life for students, faculty, and staff.” Projects such as building a retail center, initiating landscape beautification projects, and creating a new emergency operations center with the city can benefit everyone and add to the overall meaning of the institution’s mission, notes Bradford. As today’s CBO manages through the many pressures that can overwhelm one throughout the day, focusing on what makes this job so unique can helpfully reorient oneself. While not easy to do, one way to accomplish this is to “get out of your comfort zone” and to remember that the “academic community has expertise in one area” and “they really need the expertise of financial professionals,” says Dalton. Remembering that mission is the one constant for everyone at an institution can be a great unifier. Focusing on the institution’s mission is one way to reflect on what your role and purpose are on your campus. Helping others focus on mission is likewise crucial. Honoring those special ways that remind you why you are in this line of work can be pivotal to helping others plug in as well, such as annual traditions like graduation that mark the importance of your work, or helping a student stay in school, or navigating a community through a crisis. MARTA DRAKE is senior vice president of education, development, and membership for NACUBO. Often the best bits of wisdom come from casual conversations with personal friends and professional peers. NACUBO’s “CBO Speaks” podcast series allows you to listen to recorded conversations with chief business officer colleagues from across the country. Find out what motivates them at work, what they learned the hard way, and why they love their jobs despite increased resource constraints and the growing complexity of their roles. In an upcoming issue of Business Officer, we will introduce a new leadership department that will likewise capture the insights of both long-time leaders and leaders-in-training to facilitate the sharing of knowledge that advances higher education excellence.